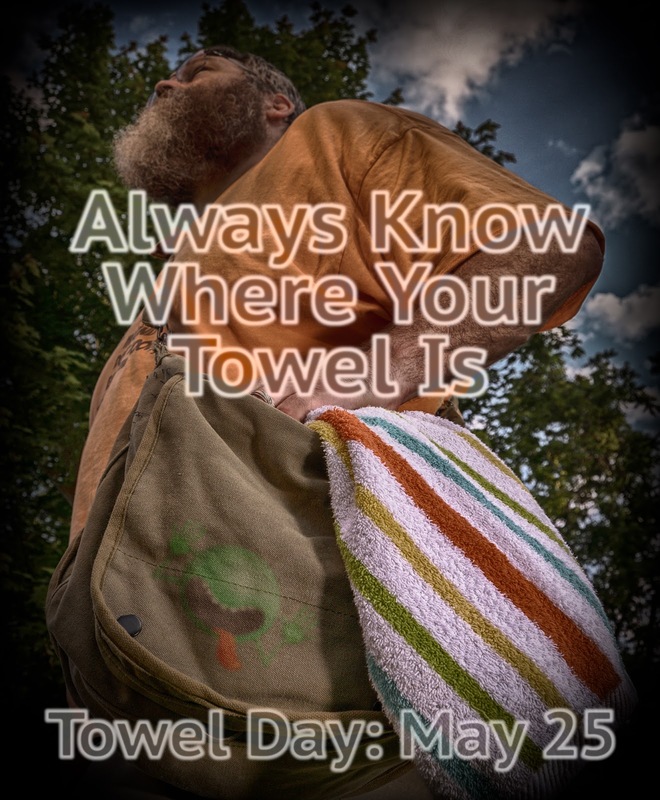 May 25th is Towel Day. In celebration of Douglas Adams contributions to geek culture, fans across the universe carry a towel on May 25th. I have mine. Do you have yours?